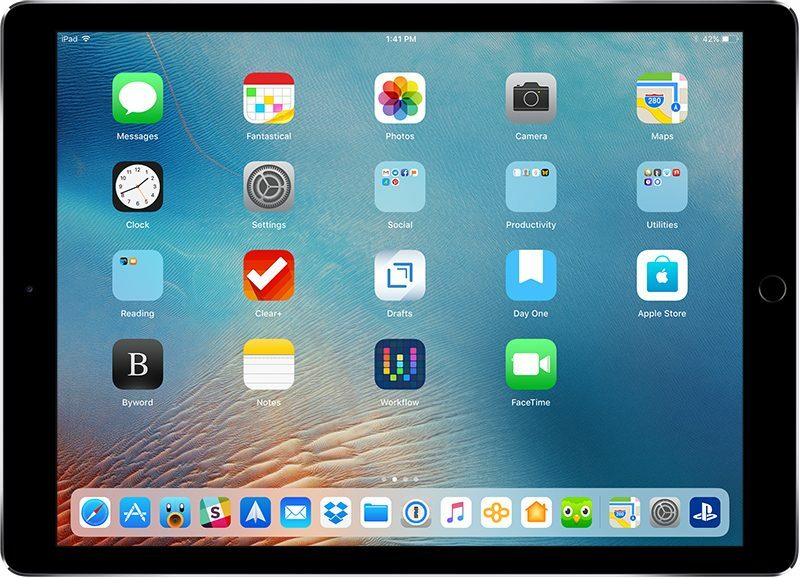 Apple in iOS 11 revamped the iPad’s interface and changed the way we interact with the tablet through a new Dock, a revamped App Switcher, and Drag and Drop, and with iOS 12, further iPad changes have been implemented. There are new gestures to learn for accessing the Home screen, App Switcher, and the Control Center, along with a new status bar and some new multitasking capabilities, which we’ve outlined below. If you use an iPhone X, the new iPad gestures will be familiar to you, but if you don’t, it could take a bit of time to get used to. In iOS 11, when you wanted to access the Home screen from within an app, you would press the Touch ID Home button. That’s still true, but you can also now get to the Home screen when you swipe up from the bottom of the display, as demoed in the video above. When in an app, swiping up from the bottom of the screen takes you right to the Home screen rather than just bringing up the iPad Dock within an app. The iPad’s Home screen. Get here with one quick swipe on the Dock. To get to the Dock to open more than one app for multitasking purposes, you need to do a swipe and a slight hold hold rather than just a swipe at the bottom inch of the screen while you have an app open already. The iPad Dock in an app. A quick swipe brings you to the Home screen, but a swipe and a hold brings up the Dock in an app. 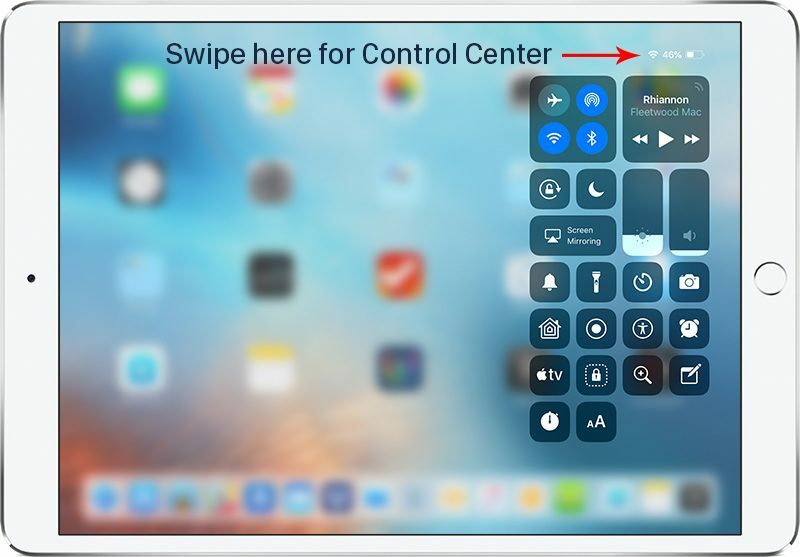 If you swipe and hold a bit higher on the screen, you can access the App Switcher on the iPad for quickly swapping between apps or closing apps, which is done with a swipe upwards on an app card. This gesture works both within apps and at the Home screen. 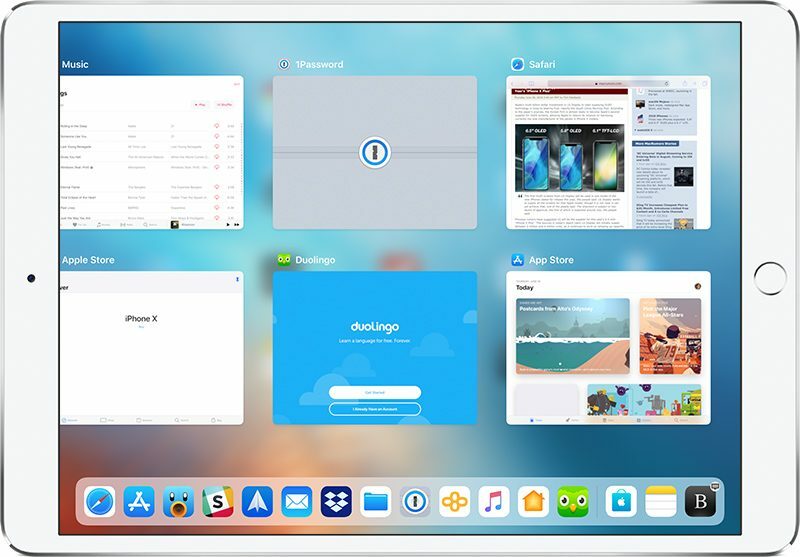 The iOS 12 iPad App Switcher, accessible with a longer swipe and hold on the Dock, either at the Home screen or within an app. Control Center in iOS 11 was paired with the App Switcher and was accessible by swiping up on the Dock, but that gesture now opens the App Switcher alone without providing access to Control Center. 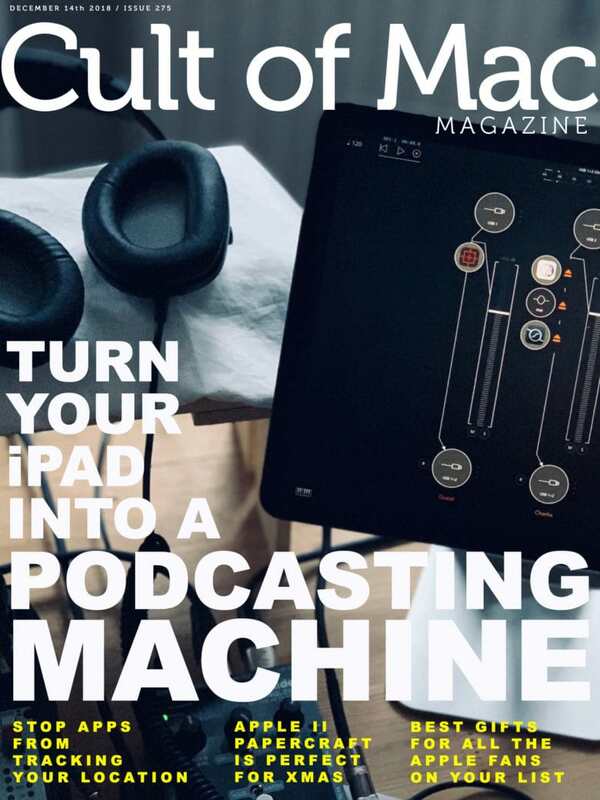 Getting to Control Center is now done by swiping downwards from the right portion of the status bar, where it displays your battery life and Wi-Fi/Cellular connection. All other gestures on the iPad remain the same, such as a swipe downwards from the top middle of the display to bring up your notifications and a swipe to the right to get to the Today section for widget access, but there are other iPad improvements worth noting in iOS 12. The iPad’s status bar has been redesigned in iOS 12, and it now resembles the status bar of the iPhone X. The date and time are listed on the left hand side of the status bar, while battery life and Wi-Fi/Cellular signal and connection are displayed on the right hand side. The middle of the display, where the date was previously shown, is left open, perhaps for a future notch. Prior to iOS 12, the iPad’s status bar did not show the date, so that’s also a new addition. When typing on the iPad, if you press and hold on the space bar, it turns the keyboard into a trackpad to make it easier to navigate through a document and move the cursor. This is a feature that has been available on iPhones with 3D Touch, but with iOS 12, it expands to the iPad. On newer iPads with 2GB+ RAM, multitasking has been tweaked somewhat. While in iOS 11 you could have a maximum of two apps working simultaneously, on iOS 12, you can have three. 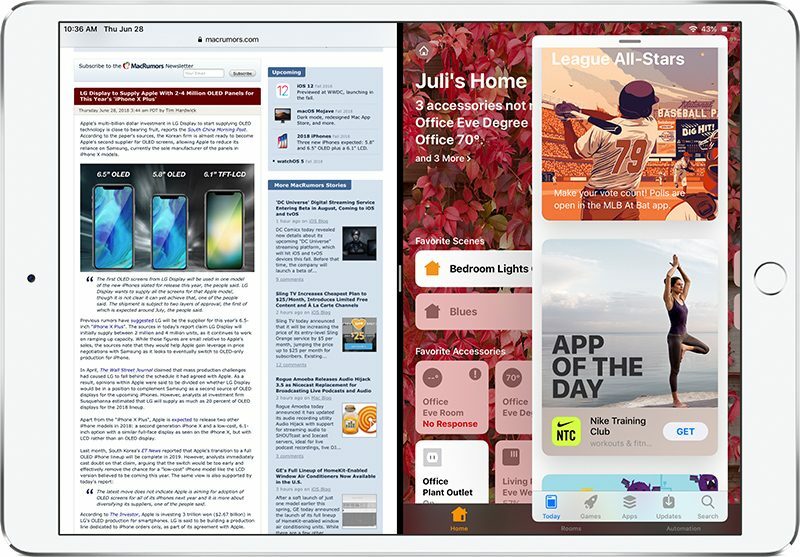 To use three apps at once, pair two apps in Split View with a Slide Over window. In this mode, all three apps are active, and while it’s true that the Slide Over window is going to block most of the second Split View window, you can still scroll through and use all three apps. Multitasking in iOS 12. Note that all three windows are active. 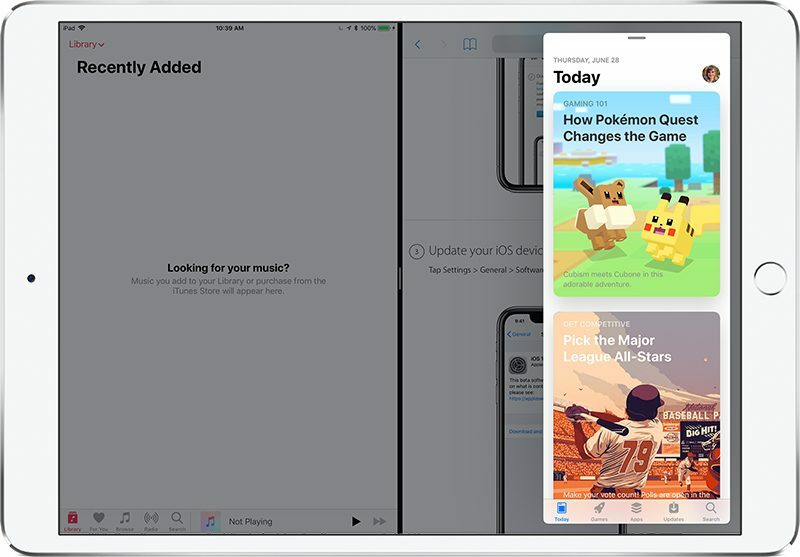 That is not true of iOS 11, where opening up a Slide Over window in Split View would deactivate the two Split View apps until the Slide Over window was dismissed. iOS 11 multitasking. Note that the Slide Over window deactivates the two Split View apps. Multitasking gestures in iOS 12 have not changed. 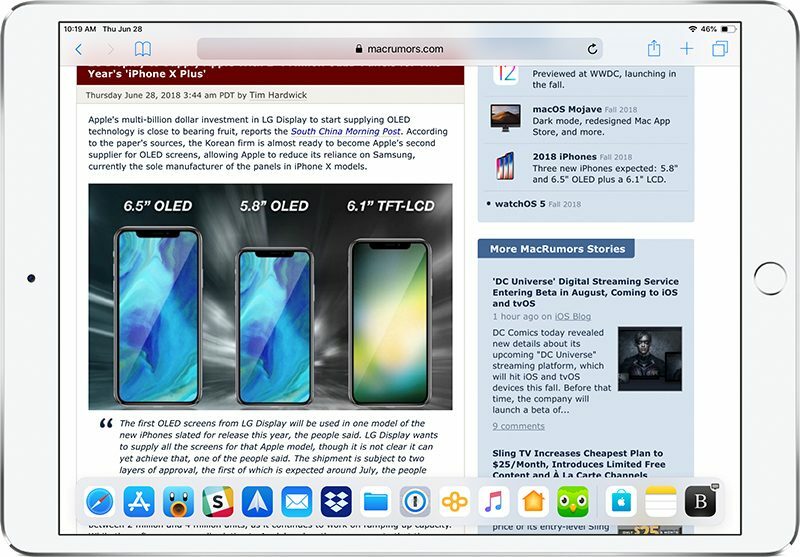 Pull an app up from the dock and to the left or the right of the display to enter Split View mode, or pull an app over an existing app to enter Slide Over mode. iOS 12 will be released to the public in the fall alongside new iPhones, but it is available in a beta capacity to developers and anyone who wants to become a public beta tester. iOS 12 should not be installed on a primary device because betas can introduce serious bugs, and make sure to create a backup before updating to the new software. For more information on the new features that are coming in iOS 12, make sure to check out our iOS 12 roundup. 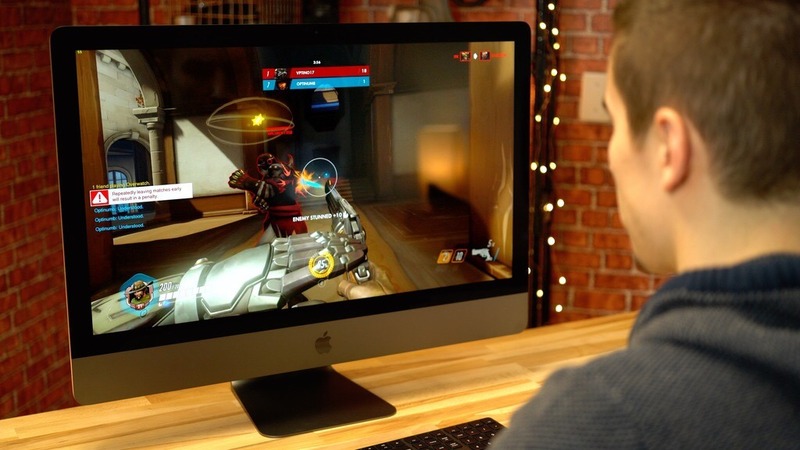 Week’s best Apple deals: Get iPad Pro at Black Friday prices, Goat Simulator for free!